Pro tip: Don’t be hovering around the Publish button while attempting to clean your mouse. Apologies to anyone that stumbled across the draft. I know at least one person did. This is an overview of the events that occur during Dennou Coil. It follows on from the previous entry on prior events. I don’t make any claims as to this entry’s completeness, and if you disagree with something or think something is missing, please let me know. If you don’t want to be spoiled, then read no further. Yuko Okonogi (Yasako) and her sister Kyoko are approaching Daikoku City by train when they spot an obsolete space. Isako is on the scene, attempting to capture an Illegal. She intends to use a stray cyberpet as an incubator for the Illegal until she can find a safe area to harvest its kirabug. Her plans are interrupted by a Kyuu-chan on patrol. Its formatting beam strikes her immobilizing encode, freeing the cat. Isako is forced to withdraw, and the Illegal escapes. Waiting in a restaurant, Yasako is actually in the presence of two important figures later on: Tamako and Sousuke. Whether the two know that the other is there is unclear as Sousuke is shown facing a counter at the back and Tamako is looking at the front window. Sousuke is supporting Isako and co-ordinating with the Coil faction within Megamass. Tamako is in charge of hunting down obsolete space, driven by her own guilt at having been responsible for opening a Coil Domain portal four years prior. While wandering the city streets, Kyoko and Densuke discover the traces of the Illegal, and then the Illegal itself. They take off in pursuit, managing to outrun Yasako (for shame!). To her credit, she finds Hepburn the stray virtual cat and meets Fumie for the first time. In an ironic twist, she also comes into contact with the Illegal before Densuke does. The Illegal attacks her, but Densuke chases the Illegal into an obsolete space, which is auto-restored shortly after. With the help of Fumie, Densuke is rescued but not before the Illegal uses him as an incubator. Megabaa, Dr. Okonogi’s wife and Yasako’s grandmother, offers to extract the Illegal from Densuke, but only if she joins her Coil Cyber-Detective Agency. Yasako reluctantly agrees. 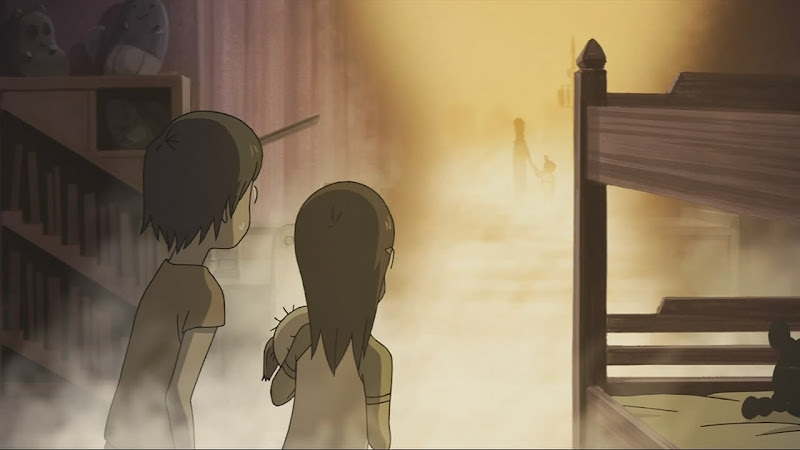 Later that night, perhaps instigated by the Illegal which is Coil material, Densuke connects to the C Domain which we now know to be the Coil Domain, and Yasako is warned by Nobuhiko not to access the Coil Domain, although this warning may have been intended to for Isako, the other Yuko. The next day, Isako has her Mojos kidnap Densuke. The plan almost goes awry when they are attacked by a Searchmaton (Satchii), Megamass’ container for the Kyuu-chan formatters. 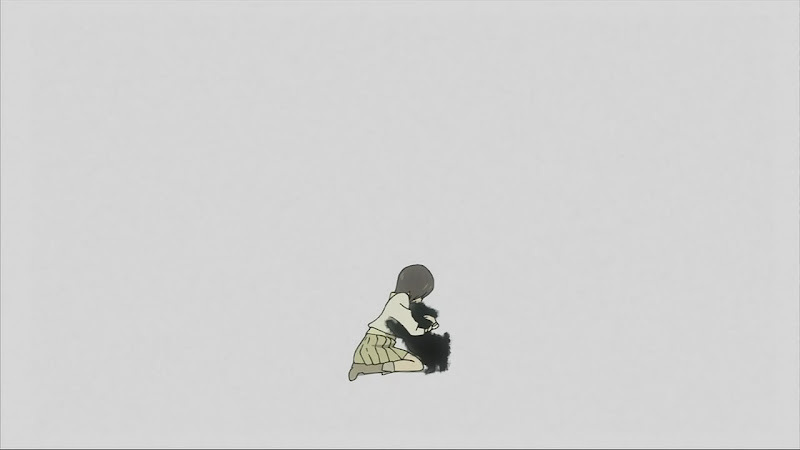 Isako salvages the situation by recovering Densuke from Yasako while she is under pressure from pursuing Satchii’s. Even this early on we see Isako use the Imago to construct steel barricades to stall for time. 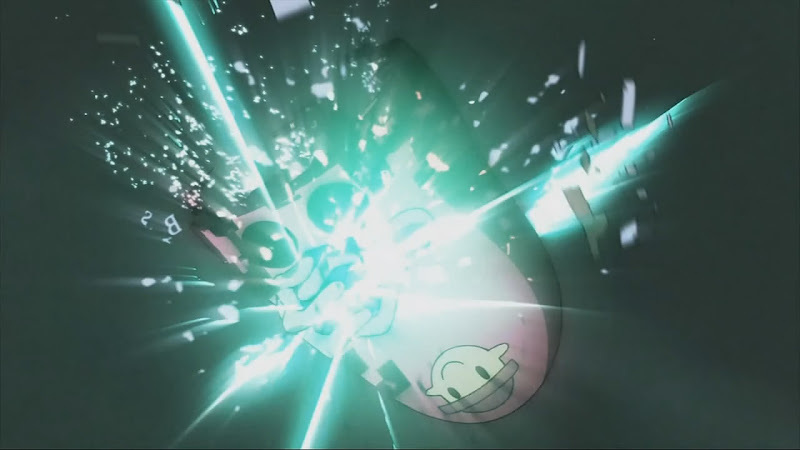 While in the incomplete railroad station, the extraction program fires and dumps the Illegal which begins to take immediate damage from the formatted space. Isako tries to harvest the kirabug on the spot but fails. 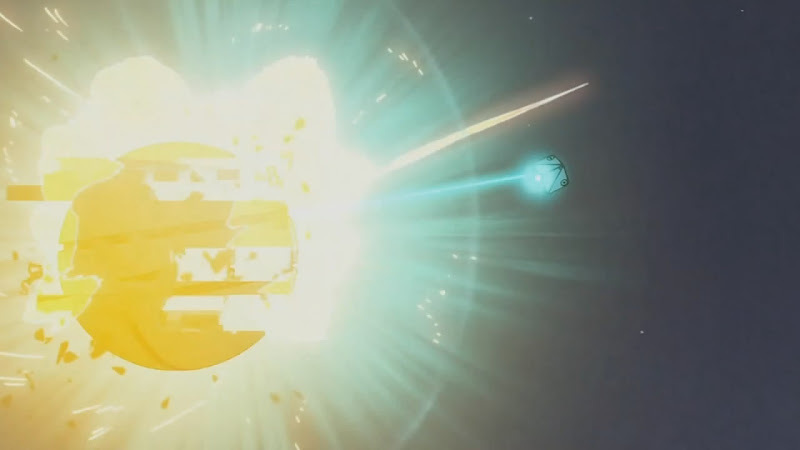 Too damaged from its time in normal space, the Illegal explodes and fragments the surrounding space. Fumie and Yasako bear witness to the destruction and Fumie sees the fragments of normal space to be metabugs. They aren’t, though, because they vanish after a short period of time. 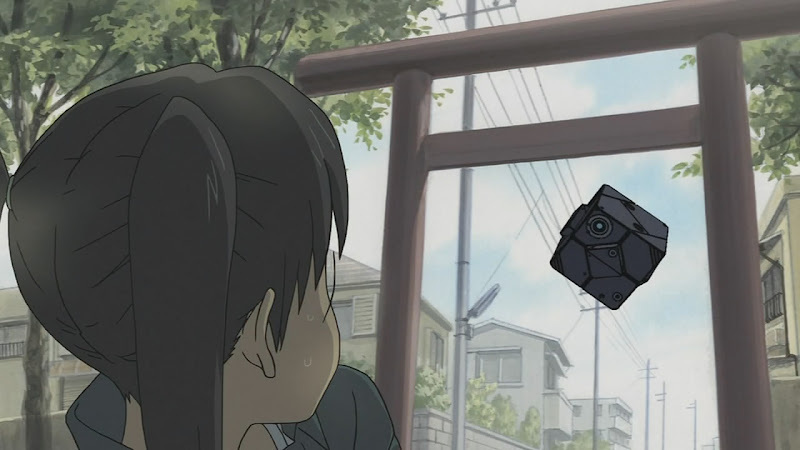 While giving her report to Sousuke, she spots a dropped metatag and realizes that it’s a predecessor to the encoding techniques that she uses. Isako is enrolled into the same school as Yasako and appears the next day. 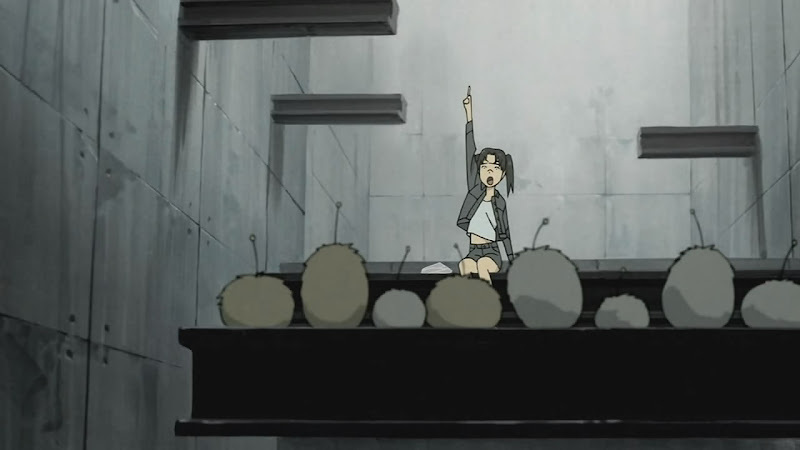 Rejecting any overtures (note how the last straw is when Michiko is brought up), she earns the ire of Daichi who gets his group to bully her, culminating in an attempt to destroy the data in her dennou glasses. In a display of cunning and encoding techniques, she evades their attacks, steals their weapons, and sows false information. 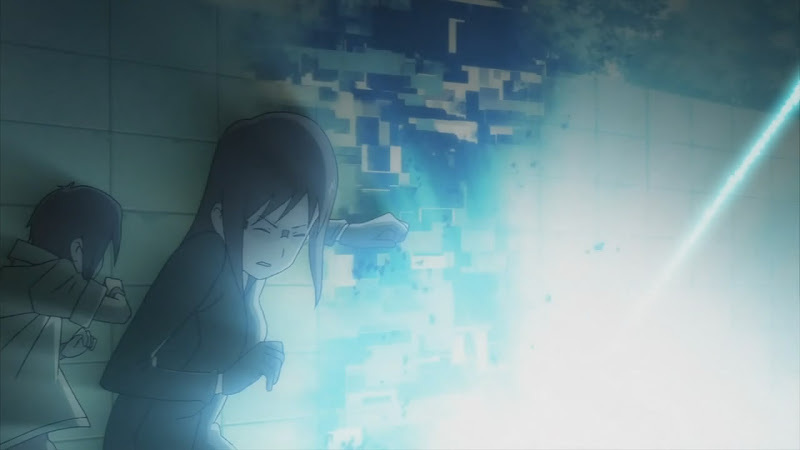 The confrontation ends when Isako lures the group into a trap and uses the group’s own exploit against them, “breaking” their glasses by wiping their data. 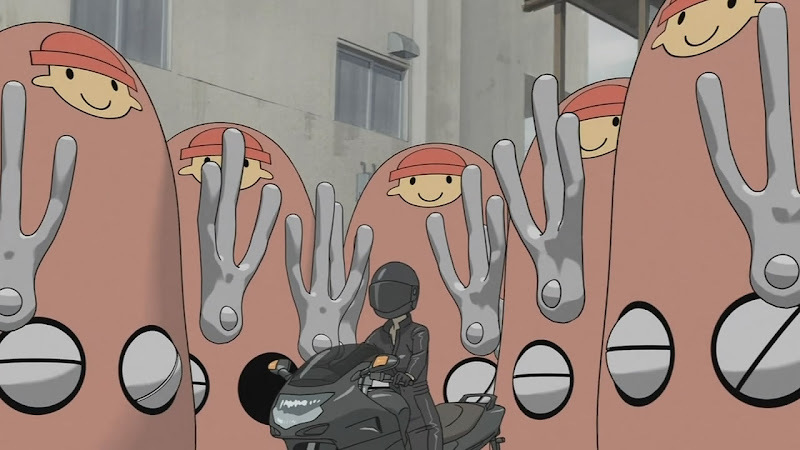 The following day, Isako leads Daichi and his defeated followers to an abandoned bus yard with promises of metabugs. Her own intention is to see if she can discover a kirabug in the obsolete space. There were no kirabugs to be found, but some valuable metabugs were discovered amidst a vast amount of explosive ones. In one last shot to force any kirabugs to the surface, she endeavours to blow up the space by a chain reaction. 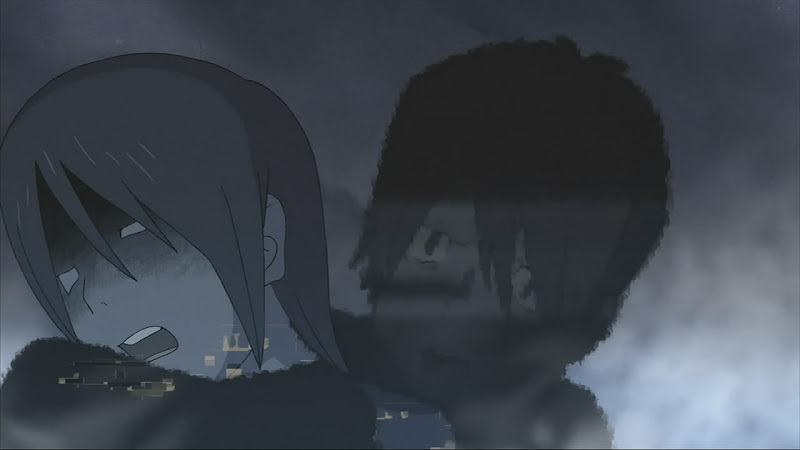 Suspecting shenanigans, Tamako had tailed Isako and sent Satchii’s after the group, although they unwittingly provide the catalyst for Isako’s plan. It proved fruitless, but did force Daichi’s group into a situation where they had little choice but to make her their leader. Haraken bails out the rest by exercising his limited control over a Satchii. His aunt Tamako faces a rebuke for the damage caused to the Satchii’s from Yasako’s father. Isako tracks down a second Illegal at an abandoned factory and sets up an elaborate encode to call it at will. In this way she doesn’t have to resort to petty methods such as kidnapping cyberpets to use an incubators. What she doesn’t count on is Yasako, Kyoko, and Fumie trampling all over her work. When her encode takes sufficient damage, the Illegal escapes before the harvesting process completes. Her own contingencies to trap the Illegal backfire on her, locking her in a room with Yasako. 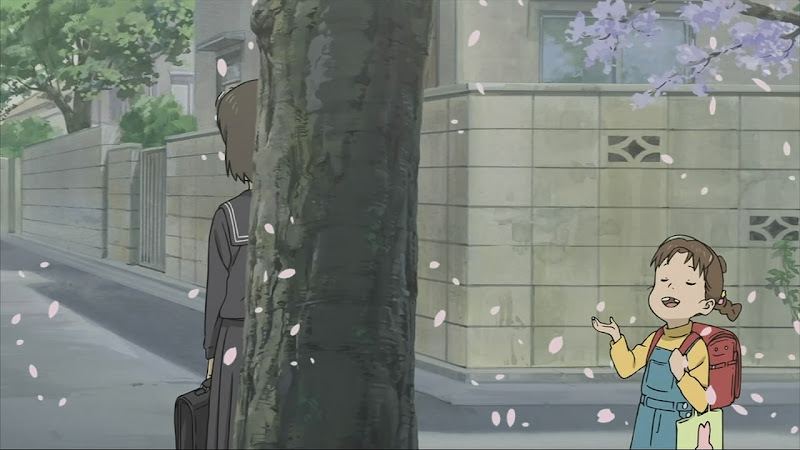 After escaping and rescuing Kyoko, Isako tracks the Illegal to the elementary school. Tamako is also aware that there is an Illegal in the school and has set up multiple kirabug detectors if/when Isako attempts to harvest it. Isako accidentally stumbles across one as she goes to investigate an obsolete space in the teacher’s prep room, probably because she is a bit of a kirabug repository herself. In order to defeat the detectors, she creates a diversion by having the others engage in a trial of courage. During the festival where the challenge is declared, Haraken discovers Kanna’s cyberpet. 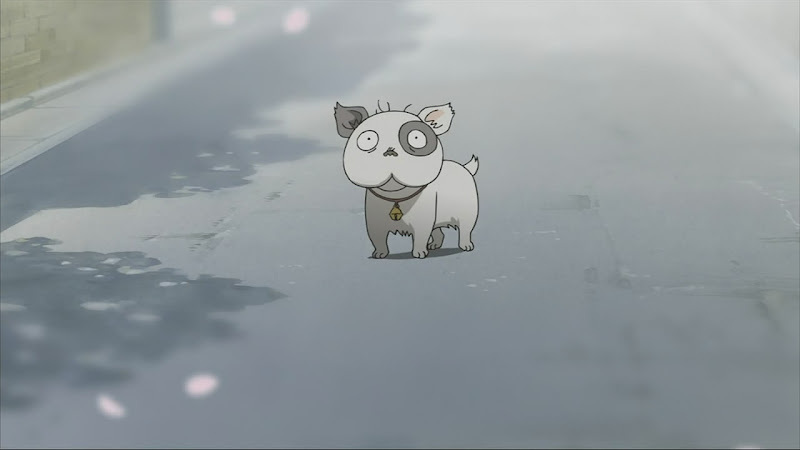 The virtual dog gives him a metabug just before being destroyed by a roaming Kyuu-chan. He finds that he can hear something from the metabug but is unable to make out what is being said. He gives the metabug to Denpa, who appears to possess the Imago as well and has trained himself to discern the audio data from metabugs. On the eve of the duel, the two sides trade horror stories centered around Michiko. In fact, the first story is essentially Kanna’s story, while the second gives some insight as to how trapped consciousness can turn into a humanoid Illegal. 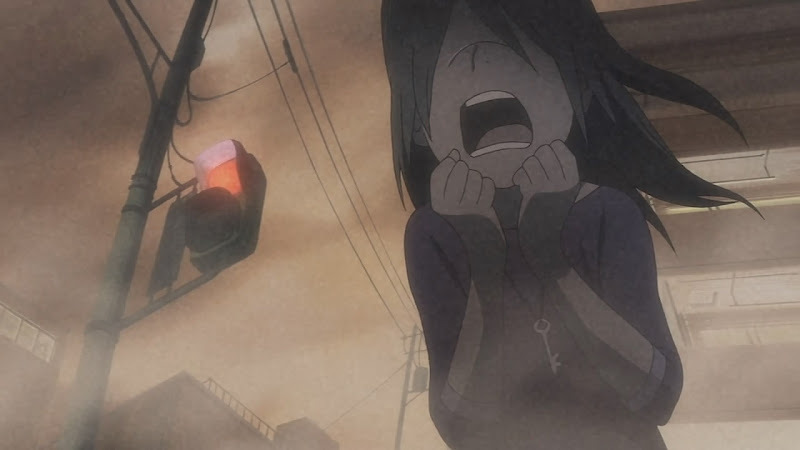 Observing the stills in the first story, the depiction of Michiko has her wearing the same key that Isako uses to harvest kirabugs from Illegals. 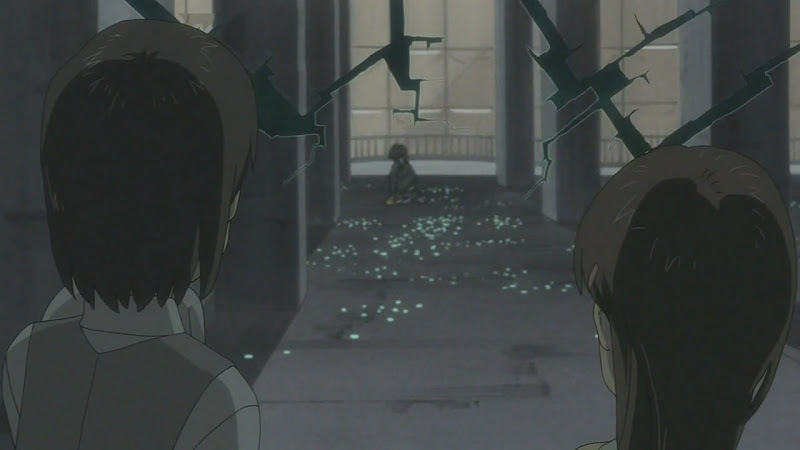 During the duel, the ensuing indiscriminate weapons fire takes out numerous detectors, forcing Tamako to modify a Satchii so that it can enter the school and pursue Isako. Even without a harvesting key, the Illegal releases the kirabug. Maybe it was because it had responded to a prior ping from Isako’s key. Haraken happens upon it first and creates a quasi-portal for himself using his Imago ability, subsequently fainting after a partial shift. While in the Coil Domain, he happens upon a phone. 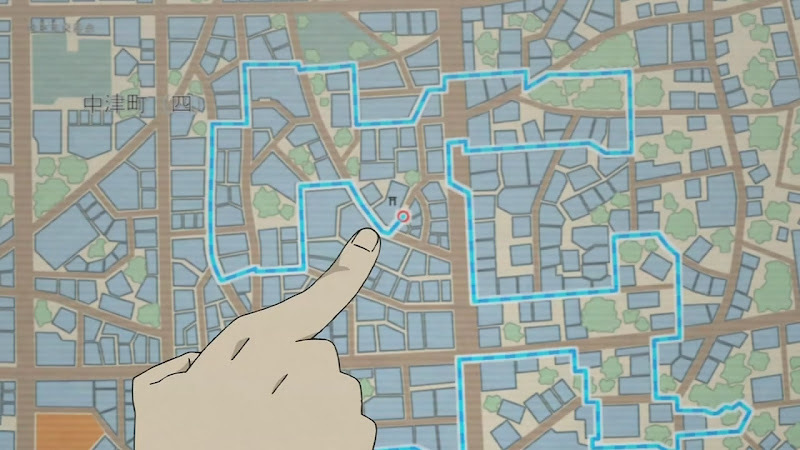 Dialing 4-4-2-3 results in a recording of Kanna’s voice detailing a trail through the city. 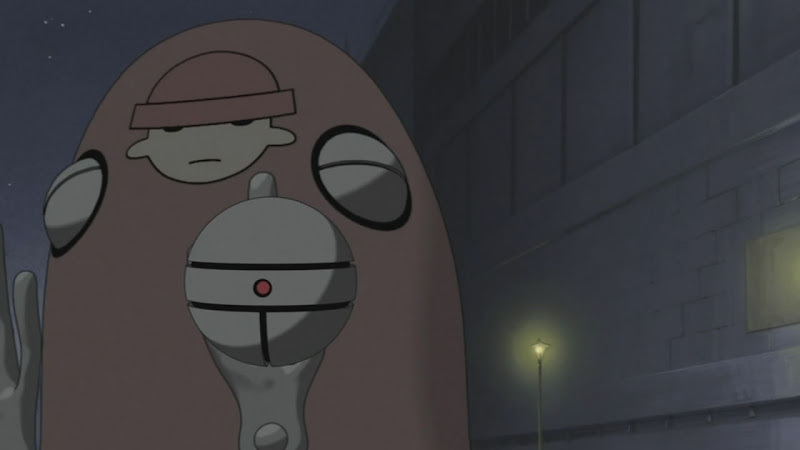 After the portal closes, Isako immobilizes then absorbs the kirabug before being spotted by the Satchii. She destroys it and threatens to do the same to any others that Tamako sends her way. Tamako places a Coil tag to guide Harken’s consciousness back to his body before retreating. For his failure to defeat Fumie and her team, Daichi is ejected from the group. Denpa leaves with him. 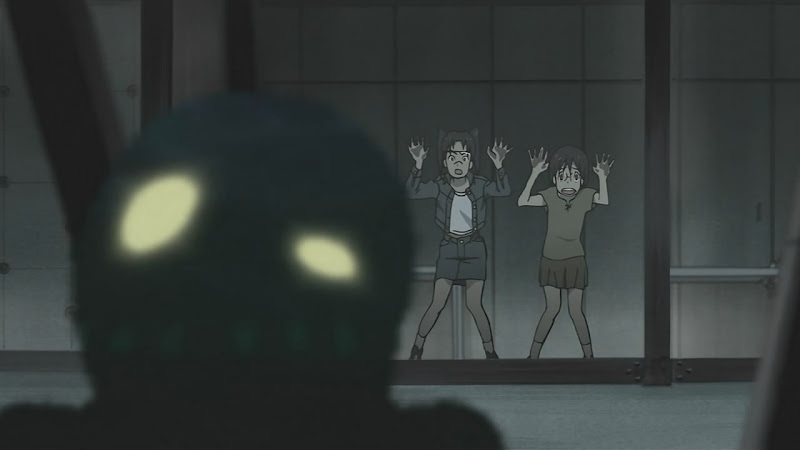 While researching urban legends, Kanna Ashihara must have come across the Coil Company’s method for concealing space. Instead of using passwords to deny access, a specific path was the password. In one of these concealed spaces she placed a note for Haraken with a password to sensitive data in her glasses. Yasako figures out the correct password by reading the note upside-down, and the decryption process begins. As Kanna’s data is decrypted, more paths are revealed. Pursuing these paths may have exposed Haraken to more obsolete space, which reacted with the Imago causing problems with his respiratory system. Concerned for his safety, Tamako threatens to confiscate his glasses. He also encounters Sousuke who, fearing interference with Isako, warns him that he will suffer Kanna’s fate should he continue looking for her. Believing that she continues to exist within the Coil Domain, he is undeterred. Seeking to prevent the portal from opening at all, Tamako breaks with the agreement, sending five Satchii’s after Isako. Haraken offers to disable the Satchii’s using a backdoor given to him by Tamako and Isako agrees, but unbeknownst to all involved, it is Sousuke who disables the Satchii’s. It was likely that he planned to employ his trump card later, after the portal was opened, in order to buy Isako some time to shift in. 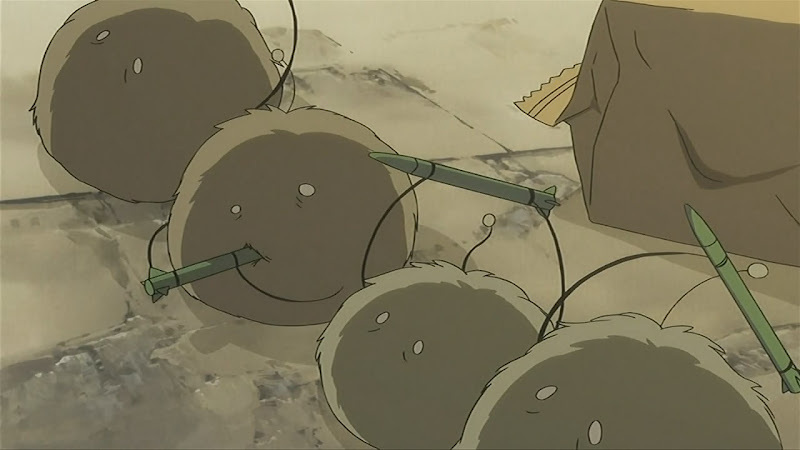 Four Satchii’s are either destroyed or heavily damaged, but one is able to get through and disrupt the control link. In his tormented state of mind, Haraken opens the portal. He spots a humanoid Illegal resembling Kanna who wordlessly tries to warn him away. It is Yasako’s call that stops him from shifting too far before the portal dissolves. Tamako confiscates his glasses but is unaware of Kanna’s pair being kept in Haraken’s desk drawer. Thinking that perhaps opening the portal would allow her brother’s consciousness to somehow return to his body, Isako hurries back to the hospital where there is no change in her brother’s condition. While discussing the day’s events with Isako, Sousuke lets slip that they are replicating a certain doctor’s (Dr. Okonogi) work. Intrigued, she locates and steals the doctor’s password from Sousuke’s database. 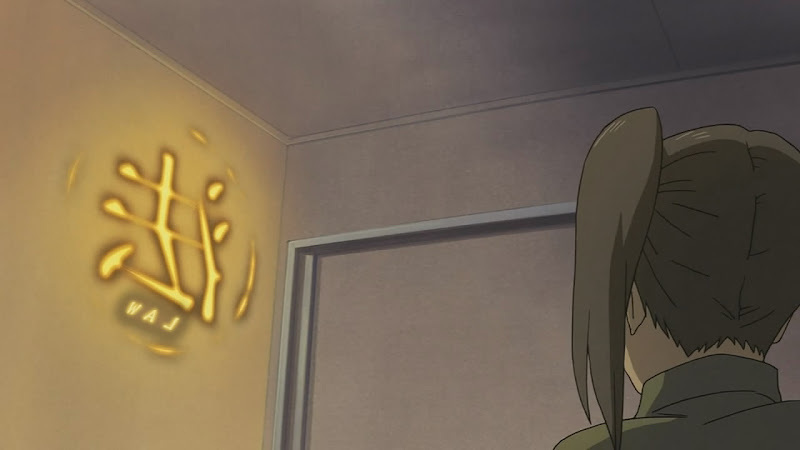 Sousuke also informs her that the space is under immense duress, and that the portal may appear again during the night. Following a separate conversation with someone in the Coil faction, he acknowledges that this is a huge problem. The opening of the portal destabilizes huge tracts of Megamass formatted space, and obsolete space floods the area. Some of it finds its way to Yasako’s house, where a portal opens and Kyoko is forcibly shifted by a Null Illegal. While defending Yasako, Densuke is hurt by a Null Illegal and disappears into the Coil Domain. He is able to locate Kyoko and bring her back through an obsolete space in a secret passage. Strangely enough, this space has always been connected to the Coil Domain and may have been intended as an escape route. Informed by Megabaa, Tamako sends in a Satchii to format the entire house. She follows up with an order to perform a level 3 physical format to contain the spread of obsolete space. The level 3 is a much deeper format than before that is immune to corruption from obsolete space, is not affected by and does not affect Imago. It is the solution that Megamass has been looking for to finally format the Coil Domain. Problem solved for the corporation, but Tamako discovers that Haraken has ventured out with Kanna’s glasses and is now a victim of a Null Illegal. In a move that ensures that she will be fired, she takes out a modified a Satchii containing 7 Kyuu-chans, and one floater. She agrees to allow Yasako to help in her search, but she soon runs off with the intention of following Haraken into the Coil Domain. Tamako orders the floater to protect Yasako, but it is quickly overwhelmed by large numbers of Null Illegals. 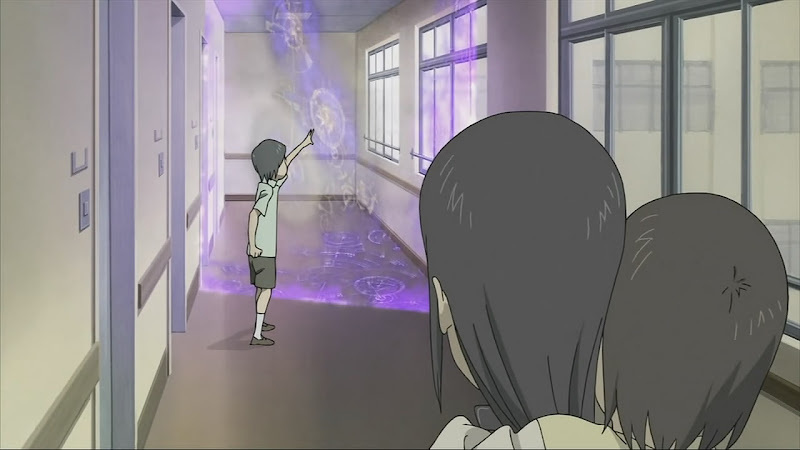 In her search for Haraken, Yasako opens the portal and is eventually shifted by a Null Illegal in its immediate vicinity. Isako gets in contact with Yasako and transmits to her a long-range guidance program synthesized from her last kirabug fragment. Unbeknownst to the two, the transmission links Isako’s encode reactor to Yasako’s virtual body, effectively installing the encode reactor into Yasako. While Tamako and Isako try to delay the level 3 formatter, a Searchmaton 2.0, Haraken meets with Kanna. Yasako arrives and with her more sensitive Imago, relays Kanna’s words of forgiveness to Haraken. Paying one final goodbye, Kanna’s form dissolves, and Haraken allows Yasako to activate the guidance program and returns to his body. Yasako escapes just before the portal is formatted. An unmodified Satchii, still being a legitimate Megamass container, is able to block the 2.0’s formatting beam and allow Tamako to escape with the kids. Among the casualties from the battle with the 2.0 are a number of Mojos and the modified Satchii. Isako is also fired upon but escapes relatively unscathed. Sousuke gets in contact with the Coil faction, telling them that they have run out of options with the exception of the Coil Node. However, he knows that it’s been turned off and can’t locate it. The faction responds that it’s somehow related to the last person that connected to the Coil Domain. Haraken ends up in a deep sleep, waking up once to draw a sketch of the manholes seen immediately upon entering the Coil Domain. They correspond to a photo taken by Mayumi when she discovered the Loophole Nexus in Kanazawa. By this point, Megamass is right antsy over Isako’s shenanigans. Had Haraken or Yasako “died,” with Kanna’s death that would make for 2 or 3 glasses-related deaths in recent memory, and there would be immense bad publicity no matter how much Megamass covered up. It was high time that they cut Isako loose, although they don’t pin any blame on Nekome at the moment, perhaps because he’s supposed to be involved with covering everything up. A widespread physical format of the city is ordered despite the logistics and public relations nightmare. At the same time, they threaten Takeru over Sousuke and Isako, forcing him to lure Isako to her brother’s hospital room. By having some boys bully Isako and spreading rumours that implicate her in Kanna’s death, Takeru isolates her. Using his cyberpet to project his voice, he goads Isako into visiting the hospital. After revealing that the room was an elaborate hoax, a 2.0 is sent in to capture her. Being under the administration of law enforcement and not postal services, it has no problem entering the shrine Isako takes refuge in. Yasako intervenes, stalling the 2.0, and the two girls flee to Yasako’s house. Physically drained from the 2.0’s pursuit, and emotionally shattered by the hospital room visit and bullying instigated by Takeru, Isako breaks down and cries. With Densuke’s injuries growing worse instead of recovering, Kyoko asks Isako for help. She finds that the barrier function in Densuke’s collar is blocking any form of treatment. 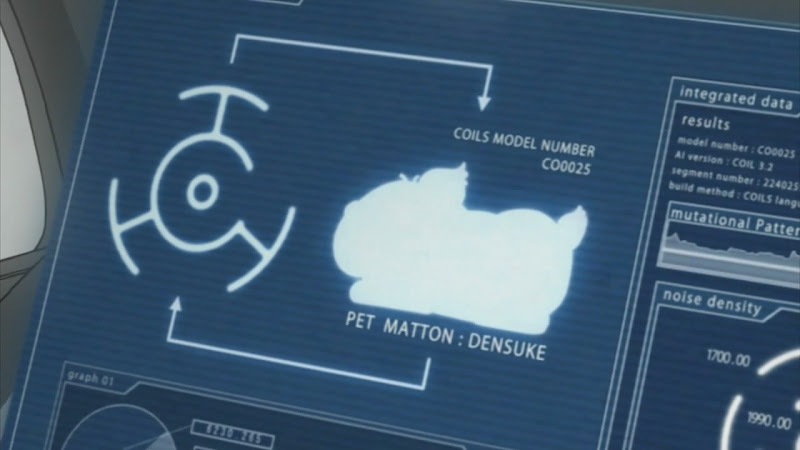 Suspecting that Densuke is a Coil product, and that the person who implemented the barrier was the same doctor that Sousuke mentioned, she uses the password she stole to access a sealed space full of Coil-era devices. Megamass detects her access and tracks it down, sending one 2.0 through the now exposed obsolete space as multiple 2.0’s converge onto the house from outside. Kyoko flees with Densuke in hand and the 2.0’s take off in pursuit, not bothering to completely format the doctor’s hidden space. It is evident that Megamass also knows that Densuke is a Coil Node and the last means with which to connect to the Coil Domain and they believe that everything will be over if they can format him. 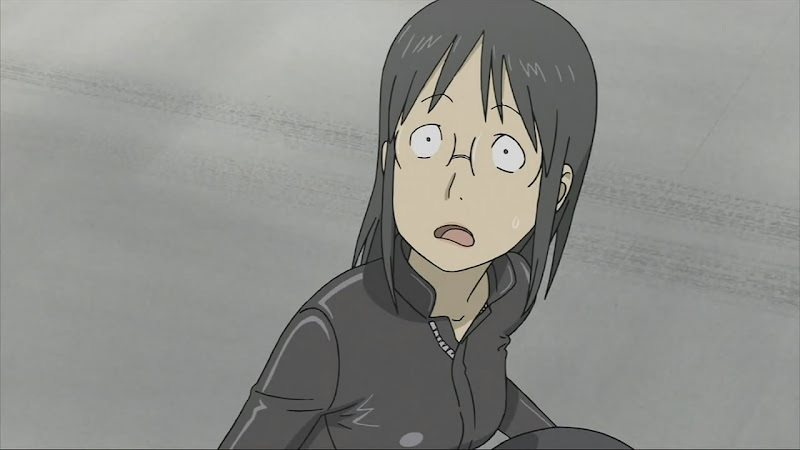 While searching for her, Isako realizes that the Coil metatags and encodes are essentially the same. By absorbing them, she can use the tag’s abilities multiple times. The price she pays to do so requires the use of Imago and the encode reactor to synthesize the encodes, exposing her nervous system to harm. The consequences are immediately demonstrated as she uses the new encode against a 2.0 and almost collapses in the process. Daichi finds Kyoko pinned down at a shrine. He stalls a 2.0 with cheap cyber-weapons, picks up Kyoko, and runs off. Isako and Yasako arrive shortly after but are ambushed by two 2.0’s. They fend them off, and Yasako discovers that she has an encode reactor as well. Everyone manages to meet up and Densuke is returned to Yasako. They split off to wait out the format. Once all the 2.0’s leave, Sousuke calls Isako and gives her the location of the last obsolete space in the city: in the basement of the new Megamass building. Suspecting a trap, Isako takes Densuke and locks Yasako in the elevator. 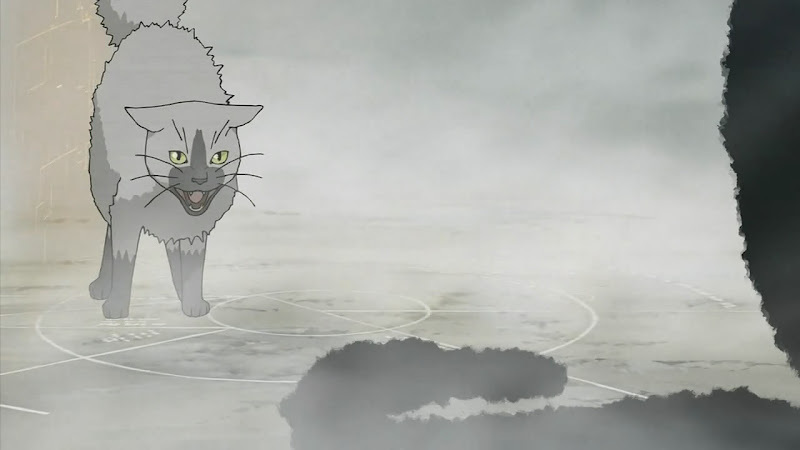 And indeed, once Isako accesses the hidden Coil space and has a healing machine remove the barrier, Sousuke activates his own encode, cutting her off from the dog. 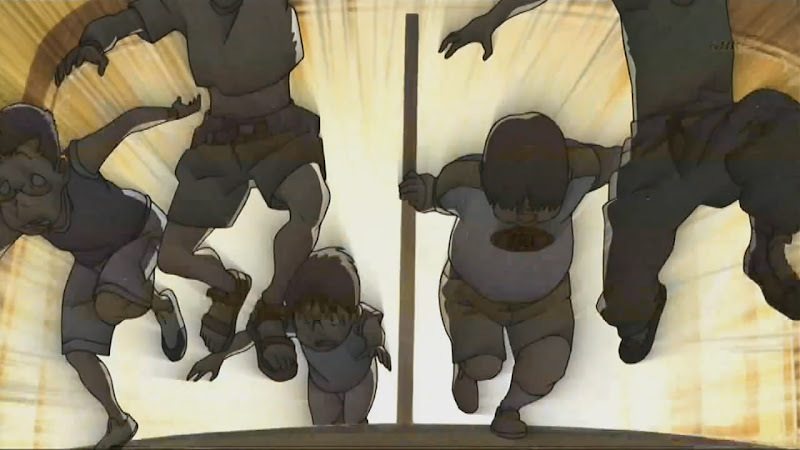 Through Densuke (as if being consumed), a portal is opened and Null Illegals begin to pour out. Despite the pain, Isako forces her way through Sousuke’s encode and destroys the machine, tossing Densuke clear but negating any recovery he received. 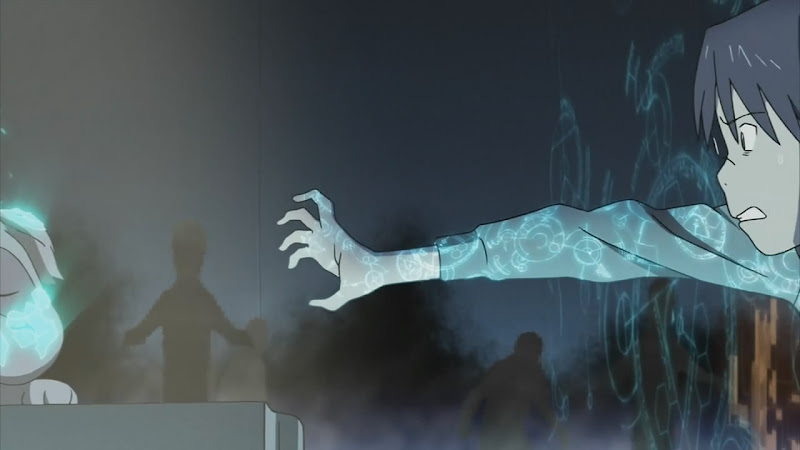 She places her hand against her chest, as if feeding her own encode back into her encode reactor, and threatens to destroy the reactor if the portal is opened any further. Tamako hacks into the elevator and frees Yasako, who discovers Isako just before she runs into the portal and blows up her reactor. Null Illegals attack Yasako and Densuke defends her despite his injuries, but is quickly overwhelmed. 2.0’s arrive on the scene just then and format the area. 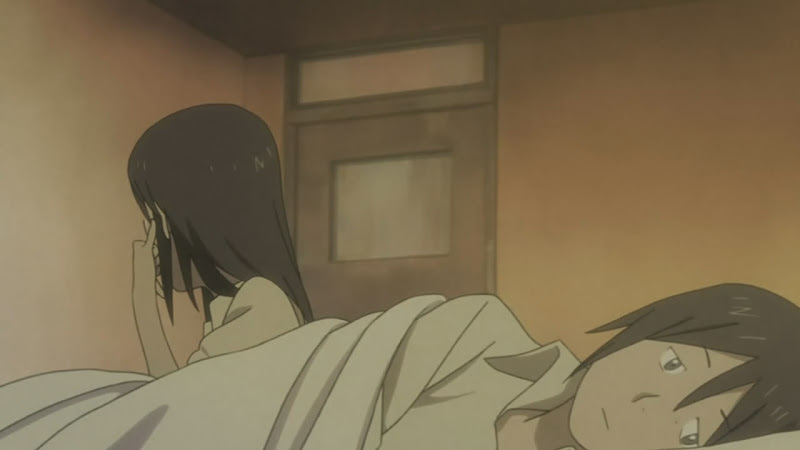 Tamako resynchronizes Yasako but she faints upon discovering Isako without her consciousness. As usual, Megamass covers up the whole affair, claiming that Isako and Yasako fell down a flight of stairs while sneaking around the school at night. In reality, Isako is in a coma and her body interred at the hospital, although due to Megamass’ influence no one will divulge her location. Knee-jerk reaction from parents leads to a confiscation of glasses and much preaching about how the Real World is the Only World. Yasako, initially numb to Densuke’s death, finally breaks down. While contemplating feelings of pain and loss, she becomes resolved to save Isako, believing that her consciousness exists in the Coil Domain. Even without her glasses, she senses pain through her encode reactor connection. Remembering that Tamako mentioned the Loophole Nexus as probably the very last means to get to the Coil Domain, she retrieves Dr. Okonogi’s unconfiscated glasses and boards a train for Kanazawa, where Mayumi discovered the Loophole Nexus. While watching over her nephew, Tamako notes that every Coil Domain area known to Megamass has vanished, an indication of the thoroughness of the large scale format. At that moment, the decryption program initiated much earlier on in the series finishes decoding all of the data in Kanna’s glasses, possibly including a black box-like sequence of her last moments. She calls Yasako’s father who, understandably, doesn’t want to hear from her ever again. Haraken picks a convenient time to regain consciousness, or he’s been feigning sleep for a lot of the time. Either way, he emerges with an understanding of what Yasako is up to. 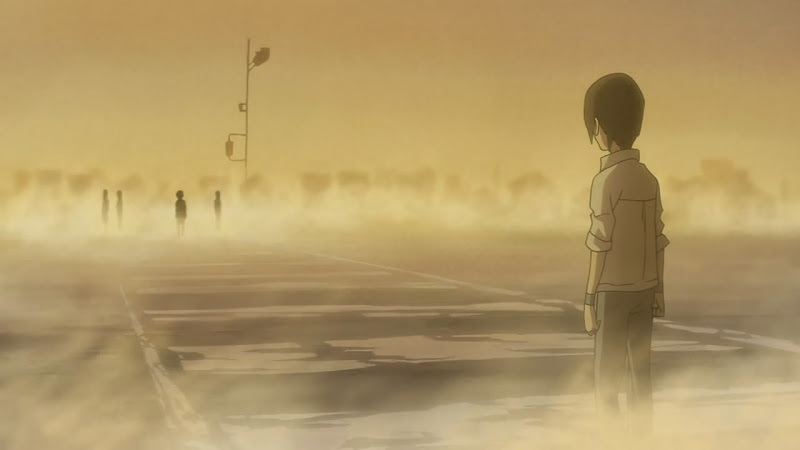 Seeking to prevent her from doing what he did, he takes Tamako’s glasses and heads to the train station. He doesn’t arrive in time, but figures out that she’s headed to Kanazawa and heads there too. Tamako is adept at tracing her own hardware and intercepts Haraken at the Kanazawa station. Yasako discovers the location of the Loophole Nexus, manned by a Null Carrier. The Null recognizes Dr. Okonogi’s glasses, and shifts Yasako into the Coil Domain. Sousuke is also tailing Yasako and resolves to eliminate her, knowing that the 4-4-2-3 world will collapse without Isako’s presence. An opportunity quickly presents himself. Megamass, having also followed Yasako’s movements, sends two 2.0’s into the Coil Domain with the intent to format everything and destroy the space from the inside. Tamako modifies a stolen Satchii (Tama) and sends it in to protect Yasako, just before a third 2.0 formats the portal and the Null before Sousuke hacks it and sends it away. With a Megamass insider covering his tracks, he proceeds to commandeer the two units inside and begins searching for Yasako. Yasako is found in short order. She disrupts one 2.0 with an encode and it’s unable to restore itself while in the Coil Domain. Under orders, Takeru begins a manual restore but disturbed by his brother’s actions, also attempts to hack into his system. Tama finds Yasako and with its modifications, is able to break down the other 2.0’s physical barrier and destroy it. Tama envelops Yasako and takes flight. They land in a replica of Daikoku City where they are ambushed by the recovered 2.0. Tama is hit and crashes into the streets, but not before stopping the 2.0 in its tracks. After unloading Yasako it flies away and grabs the 2.0, flying into the ground. Sousuke detects Takeru’s hacking attempt, and finally reveals the entirety of his plans. Takeru leaves in horror. Isako finds herself imprisoned within 4-4-2-3, where Michiko is manipulating her memory. By giving a selected version of past events, Isako is persuaded into destroying the Coil Domain when Yasako approaches the gateway leading into 4-4-2-3. As the world collapses, Yasako is drawn to the sound of bells ringing, the same kind heard as far back as the first episode. It comes from a portal that takes her to a replica of Megabaa’s candy shop. There, she remembers what exactly happened following her escape from 4-4-2-3 fives years ago. Afterwards, she discovers an Illegal from which the bell emanates from, and wonders if it contained her memories. She follows it to an exit back to the physical world and crosses into a limbo of sorts, where she discovers that the Illegal is actually Densuke, wearing Dr. Okonogi’s wrist bell instead of the lock barrier. Densuke is unable to follow her back, and Yasako says a final goodbye before she’s taken back to her physical body. Trying to get back to Daikoku City, Tamako falls victim to a surprisingly mundane foe: the tow truck. Megabaa bails the crew out by dragging Yasako’s father into the fray. Dr. Okonogi’s wife is actually in Isako’s hospital room, attempting to figure out where her consciousness may be located by tracing the link between her physical body and her virtual one. Sousuke covers the room with encodes in a bid to break the link, but is held at bay by metatags until Takeru intervenes. Using a r00t password (pwnt! ), he wipes Sousuke’s glasses and the encodes fail. Yasako arrives and through her strong convictions, is able to connect to 4-4-2-3 through Isako. 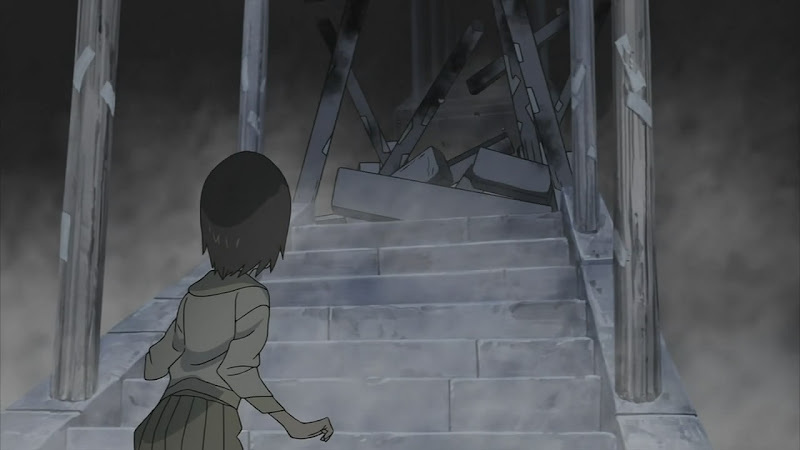 Her first attempt to lead Isako out is blocked when Michiko plays on Isako’s fears of losing her brother. Afraid of living in the real world, dealing with hardships and the loss of her brother, Isako returns and Yasako is ejected. She tries again, calling on Isako to live up to her namesake and brave the outside world. Nobuhiko’s replica lends a hand in a Darth Vadar-esque moment, seizing Michiko and telling Isako that this is their last goodbye. Isako leaves amid 4-4-2-3’s collapse. Sousuke goes into hiding and Takeru leaves Daikoku City with Tamako in order to assist the police in their search. After Kanna’s data (that Haraken decoded) is presented to Megamass, they are forced to admit that the cybernavi made a mistake and was the direct factor in her death. I suppose that now they can freely admit it knowing that this would never happen again. His mission accomplished, he returns Kanna’s glasses to her mother. In the scene, we also see that Tamako has gotten her motorcycle back, although Haraken may have driven it since Tamako is shown with Takeru. As Mayumi waits for her train bound for Hokkaido, she phones Yasako and they presumably reconcile. Isako is shown recovering and maybe has improved relations with her aunt, however marginal. She no longer has her hair tied, symbolizing a break from her dependence on her brother. She leaves for Kanazawa without a word to anyone, until she phones Yasako on the first day of school. Yuko Amasawa acknowledges Yasako, not her brother, as the person who formally bestowed upon her the name Isako. It was in that moment that she finally became the courageous girl. After the call, Yasako and Kyoko spot Densuke on the street for the briefest of moments, with their glasses off. I guess that of all the places their cyberpet may be, there’s no disputing that their hearts is one of them. This concludes the series events for Dennou Coil. Thanks for reading, and I hope that I’ve gone some way to convincing you of the intricacy of Dennou Coil’s story, if you weren’t already. This entry was written by introspect, posted on December 31, 2007 at 11:59 pm, filed under anime and tagged anime, Dennou Coil, documentation, surveys. Bookmark the permalink. Follow any comments here with the RSS feed for this post. Both comments and trackbacks are currently closed.